This is officially the last weekend of the summer. Did you know that? So, if the weather permits where you are, maybe stretch out on the hammock one last time for the season and check out the articles I’ve picked for you this week. 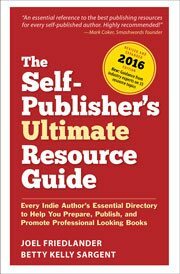 Always something new to learn, or a fresh perspective on something we already knew about that’s related to self-publishing. Just the group of reads I was looking for today! Thanks!